Irish high tech construction companies are delivering some of Benelux’s biggest data centre and pharmaceutical projects, on time and on budget. Right now, much of the major construction activity in the Benelux region concerns data centres and pharmaceutical manufacturing. Both are areas in which Irish high tech construction companies have extensive experience. “It’s an area of major expertise for companies backed by Enterprise Ireland [the trade and innovation agency],” says Richard Engelkes, the agency’s senior market advisor in construction products and services to the Benelux region. Working with such top tier multinational companies gives Irish high tech construction companies a leading edge in the international market. Indeed, Ireland has become a data centre hub for many of the world’s technology giants, including Microsoft, Vodafone, Google, EMC2, Yahoo, IBM and Adobe. This has resulted in the growth of a cluster of companies who are leading international providers in data centre design, build and fit out. Irish construction, engineering and project management companies also have a long history of not just servicing multinational clients in Ireland, but following them overseas. Much of this activity is currently taking place in Benelux countries. In particular, Belgium and the Netherlands have each seen a spate of data centre construction projects, for companies such as Microsoft and Google. “Data centres is a growing market, and one for which the Irish are really well known. Even the Dutch construction companies are talking about ‘the Irish threat’ because of their level of competencies, expertise and knowledge,” says Engelkes. The current trend is for hyperscale data centres and colocations. It isn’t just knowledge that Irish companies bring to this space but speed. They are recognised for their ability to deliver on time, and for having the flexibility to cope with challenging projects. “They are known for their ‘can do’ attitude. Their clients never hear a ‘no’. Irish construction companies simply make it work,” says Engelkes. Very many use BIM (Building Information Modeling), an intelligent 3D model-based process that enables more efficient planning, design and construction of buildings. They also operate to the highest health and safety standards, a key differentiator in the marketplace. “Safety on site is a huge thing in this sector because, by its nature, working in construction can be hazardous. Safety awareness within Irish companies is extremely high,” he says. Putting a premium on safety reduces the risk of reputation damage to their clients. A recent incident in Belgium where hundreds of unauthorised construction workers were allegedly forced off the site of a major tech giant’s data centre is a case in point. “It was the tech company’s name that was in the news, while the large subcontractor, an English company, wasn’t mentioned at all because, basically, no one knows who they are. It’s why compliance is such a big thing in this sector,” he says. High Irish safety standards are shared by their network of local subcontractors, partners with whom Irish companies have forged very good relations. This has helped them build capability, important in a market where, not alone is there an increasing volume of projects, but projects are also becoming more complex. Irish companies are adept at keeping abreast of the latest industry innovations, enabling them to add value for clients. “Every big Irish construction company will be at events such as Datacloud in Monaco. They keep a very close eye on the market and know what’s happening. They also build partnerships with suppliers and with clients, as well as with service companies such as electricity suppliers,” he says. A 2016 John Sisk & Son construction project in the Netherlands offers a good example of Irish high tech construction strength in action. It involved collaboration between three Irish companies and the design and build of a major development for international pharmaceutical giant Johnson & Johnson. At stake was a major fit-out at the existing Janssen Biologics (a Johnson & Johnson subsidiary) facility at Leiden to introduce a new pharmaceutical process. Irish company John Sisk & Son was construction manager for the project, which was designed by Irish-headquartered PM Group, with engineering services provided by Dornan Engineering Ireland. PM Group is a global player providing expertise in project management, process design, facility design and construction management to clients around the world, while Dornan Engineering is an international engineering and contracting company specialising in mechanical, electrical and instrumentation services across all industrial sectors. Other Irish construction companies active in Benelux today include Dublin company Ardmac, who has over 40 years’ experience of building clean rooms, data centres and medical device facilities, including fit out, refurbishment, construction and architectural solutions. Anord Mardix is a global leader in critical power distribution and protection; Winthrop, a provider of mechanical and electrical engineering services specialising in mission critical turnkey solutions and Linesight, a provider of professional services and strategic support to the global construction industry. Mercury Engineering is an entrepreneurial engineering contractor, which has grown on the strength of its three guiding principles – safety, quality and delivery. Kirby Group Engineering provides full mechanical and electrical engineering contracting services, as well as specialist voltage design and construction services. Modubuild, an international specialist contractor which provides fast-track modular construction services to blue chip clients throughout Ireland, UK and mainland Europe, recently opened an Amsterdam office. Jones Engineering Group, a leading international engineering contracting group of companies providing mechanical, electrical, instrumentation, fire protection and maintenance solutions to world-class clients, has opened an office in Utrecht. DPS Group, an engineering and project management group, recently acquired F4PE, a Belgian specialist engineering group, which provides high-quality services in the field of clean rooms and process facilities for production and laboratory facilities. PM Group acquired Belgian company Magnet and has moved its office from Zaventem to Puurs to be closer to its clients. All of this activity is proof positive that an increasing number of data centre and pharma clients in the Benelux region are turning “the Irish threat” to their advantage. Outsourcing and a move towards the cloud is driving the growth of the hyperscale data centre. Two major trends are shaping the global data centre landscape. The first is outsourcing, or the move from in-house data centres to facilities and services provided externally for organisations. Outsourcing can be defined as the process of sourcing facilities, facility services, IT capacity or IT services from an external provider. The outsourcing of IT assets is particularly common, as it reduces payroll costs and ensures that companies remain up-to-date with the latest technological advances. The second related trend is a move away from ‘legacy’ IT (or physical servers) towards non-physical, ‘dematerialised’ infrastructure and components. This includes components and services that are created within and sourced from virtualised, cloud-based or software-defined environments. Instead of companies investing in physical hardware, there is a preference to ‘rent’ server space from a cloud provider, which ultimately ends up being stored in a data centre. These trends have created a requirement for larger facilities, which can operate on the principle of the provision of standardised delivery models and services on a utility basis. Since the business model of cloud provision is based largely on volume and efficiency of delivery, the ‘hyperscale’ data centre has emerged. As many organisations with medium and smaller data centres have shut their own smaller facilities and migrated workloads into cloud and colocation, the profile of the world’s data centres will continue to move towards larger facilities. To operate as a viable business model, the hyperscale facility has changed the design, construction and fit-out practices that existed during the ‘legacy’ era. This is not surprising, considering the scale of transactions that companies that operate these facilities deal with. Furthermore, the business model of a hyperscale data centre is based on the capability of its digital infrastructure to be able to disrupt legacy business models by being extremely efficient. To achieve this requires the provision of facilities that can deliver enormous economies of scale, and that are also, from an IT perspective, scalable and able to cope with peaks and troughs in demand. Such facilities are highly networked and sit at the centre of huge webs of connected users and devices. Also, the hyperscale data centre is able to analyse and model the massive amounts of data flowing through their systems to offer insights into user behaviour that can be used to generate further income streams. Data centres may have a functional life of up to 20 years which, at an average rate of IT renewal of around three years, may involve six or seven upgrades. Change is led by the evolution of the processing, storage and networking equipment and systems that are housed in the data centre and which represent the core purpose of its construction. The major responses of data centres to IT transformation over the past decade can be summarised as growing larger, denser, more focused on efficiency and demand, and operated increasingly through software and software definition to meet a greater volume and diversity of IT workloads. One of the enablers of demand/utility-based IT has been the development of modular units, which can be built progressively into facilities as demand increases. While the debate between the benefits of modular versus more traditional construction methods has run in the industry for most of the past decade, modular will take an increasing share of global data centre build business, largely on the back of the hyperscale facilities, where staged construction programmes mean that capital costs can be matched more closely to incoming demand. The process of constructing these huge data centres is highly commoditised – the IT end facility package is viewed as a standard product, separate to the construction of the facility. The process is modularised, whereby common commercial module/parts are deployed in a standardised and flexible configuration, which will also support online expansion. Most components can be manufactured offsite and can be assembled, disassembled, renovated, moved easily to the site and replaced by ‘hot-pluggable’ components. In terms of location, many of these companies choose sites close to sources of renewable power and where the climate is cool enough to reduce the need for electrically-powered cooling. Some have also made equity investments in clean energy generation as a means of offsetting their carbon footprint. Can smaller data centres compete? There is no technological reason why smaller data centres cannot adopt the configurations and principles used by hyperscale data centres, and many have adopted their software definition, open source data centre fabrics, and the migration to faster network speeds. However, the issue is not one of technology but one of return on investment – for smaller data centres, the costs of refreshing an on-premise data centre environment would probably not be justified, particularly if the benefits of such environments can be accessed through outsourcing. This, in turn, will create further demand for the hyperscale data centre which is set to dominate the global market. Construction firms in Europe have challenges to face in terms of efficiency and skills supply – that’s the view of Kirby Group Engineering Managing Director, Jimmy Kirby. Founded in 1964, Kirby is one of Ireland’s principal mechanical and electrical engineering contractors. The company expanded into the UK market in 2008. “Originally, we were invited in by one of our large multinational power sector customers to deliver projects for them; then we successfully expanded into other sectors,” says Jimmy Kirby. More recently, the firm has established a strong presence in mainland Europe and has secured contracts in Sweden, Finland and the Netherlands. On efficiency, he points to research, which shows that construction efficiency has fallen behind that of other industries. Indeed, a 2017 report by the McKinsey Global Institute found that if construction productivity was to match that of the total economy over the past 25 years, it would bring an added value of US$1.6 trillion to the industry each year, which would add about 2% to the global economy. When it comes to skills, Kirby is taking direct action. “We have an apprenticeship programme and a graduate programme,” he says. “We have been running the apprenticeship programme for the past 50 years and the graduate programme is more recent. Both of them are aimed at nurturing talent to come through and play a greater role in the organisation.” Kirby also runs a site management programme, which helps craft professionals to go on to become site managers and then project managers. Looking at some of the emerging trends for the industry, he points to Building Information Modelling (BIM) and off-site fabrication. The housing crisis in the UK is an issue fueled by the rising population and soaring property prices. The challenge to keep up with these demands is not a new one, so perhaps it is time to start looking at new solutions. Part of the challenge is also limited space to build, as well as limited access to skilled workers and the shortage of new homes being built is an issue in London and other UK cities. Modular offsite housing construction is one method of helping alleviate these pressures. The Irish construction industry may be able to offer a remedy for this solution, using innovative modern methods of construction which can enable the majority of the build to be manufactured offsite. The UK and Ireland hold extremely strong trade ties and trade in Irish construction products and services to the UK has increased by 68% in the past five years (since 2012). The benefits of building offsite are clear, and indicate an obvious choice when planning future developments, yet some developers are yet to develop the appetite and choose to continue with more traditional construction methods. However, in the face of the current housing crisis in the UK the industry must innovate to meet the challenges and demands of society. Collaboration across the UK and Ireland can help with this; leaning on each region’s skills, innovation and ambition to solve the current situation. Off-site construction technologies have advanced greatly in recent years and can offer shorter build times, better quality, better energy efficiency, less waste and lower cost for buyers. The manufacturing of homes in factory conditions is unaffected by unpredictable factors such as the weather, therefore avoiding delays in construction. For example, heavy snowfall from the “beast from the east” forced Britain’s construction industry to grind to a halt, causing the biggest fall in activity since immediately after the Brexit vote. One Irish company that delivered speed through its delivery of residential homes for Ealing Council is Extraspace Solutions, a provider of fast track offsite solutions throughout the UK and Ireland. The homes were completed in seven weeks, from breaking ground to handing over the keys. With the main components of the homes being built offsite in a factory setting, the main site is able to facilitate other work which in turn speeds up the entire construction process. Buildings that are fabricated offsite, are subject to strict, factory-controlled specifications. This means the assets created are less likely to have faults and more likely to perform as designed, once again saving time as there is little need for re-working of materials onsite. Techrete, who design, manufacture and supply architectural precast cladding, worked in collaboration with architects to provide off-site solution for a 24-storey residential tower. They produced brick faced pre-cast panels manufactured offsite which they then installed to incorporate the glazing into the design of the panels. Working in tandem with time saving is cost saving. Offsite construction can considerably reduce costs, as there are often fewer deliveries and hours needed to deliver a project compared with traditional build. Reduced energy costs are another tangible benefit of offsite construction, as fewer deliveries mean less fuel is used. A reduction in cost in staffing can also be achieved, as the skills needed to assemble the modular buildings are less than those on regular construction sites. This also addresses the skills shortage currently faced by the industry. Building in a factory environment allows for higher levels of control in terms of energy and emissions, meaning less waste is emitted into the environment. Often materials transported are almost flat-packed and there is a wider scope for the use of recycled materials. Reducing energy consumption can contribute significantly to the reduction of air pollution; Cygnum is an Irish company which utilises Passivhaus, an energy efficiency performance standard, resulting in ultra-low energy homes through its robust simple designs and materials. The homes are extremely well insulated and designed to be substantially heated from passive gains such as the sun’s heat. Typically, these homes require up to 90% less energy for heating compared to a conventional house. Construction is Ireland’s largest sector and maintains the highest market value of the indigenous Irish industries, positioning the country at the forefront of introducing innovative technologies within the industry to UK. It’s imperative to find a quality solution to combat the UK housing crisis, and through harnessing Ireland’s support and the use of new and innovative technology it is absolutely a step in the right direction. 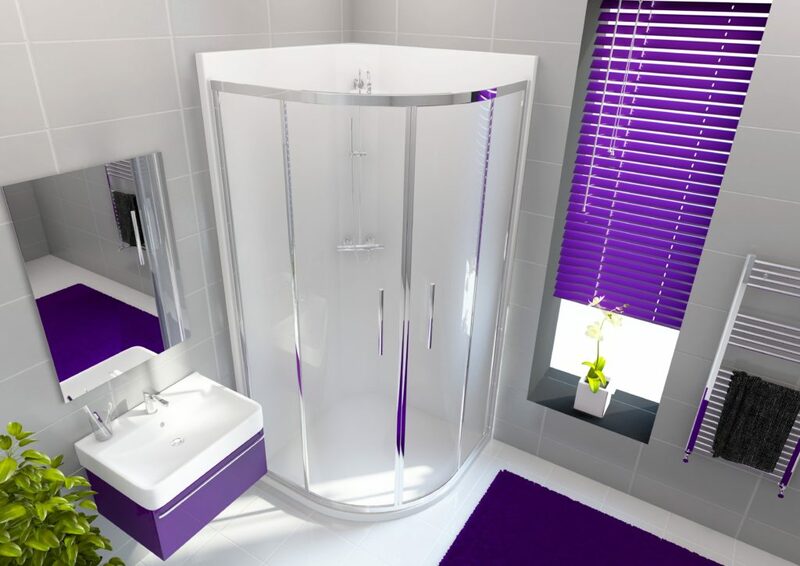 Irish company Envirotec Bathing is growing rapidly in the UK, thanks to a highly innovative shower enclosure it has developed, which is leak-proof, easy to install, and reduces costs considerably for builders and developers. The company already numbers the UK’s leading homebuilder Taylor Wimpey among its customers and is now targeting the Scandinavian market. The company’s Irish sales channel was through builders merchants and bathroom showrooms. “We put the display units into the outlets and it was a fantastic success,” he recalls. The next step was expansion into the UK market. McGrath teamed up with serial entrepreneur Charlie Sherling to establish a jointly owned company, Envirotec Bathing, to take on that market. This is also very appealing in markets like Ireland. which are reaching full employment. Innovation continues at the company. “The next product we have in mind is a full bathroom for the private residential market,” says McGrath. “We are in the process of developing a full pod bathroom that’s beautiful enough to consider for a residential setting and that you can just plug and plumb in. This hasn’t been done before. We will also launch a range of level access showers next year. They will have easy wheelchair access with half-height doors for carers to lean over. Trade relationships between Scotland and Ireland are on the rise, with exports in each direction increasing by over 100% since 2012, according to research by Enterprise Ireland, the trade and innovation agency. In 2017, Irish-Scottish trade exceeded £1.8 billion, up by 130% over the last five years. In addition, Ireland is also the fourth largest Foreign Direct Investor in Scotland. Given the close proximity of the markets and shared business culture, the Scottish trade mission reaffirmed the importance of strengthening trade relationships, particularly in the current Brexit climate. The two-day mission emphasised the opportunity for increased collaboration between the two countries and helped facilitate Irish and Scottish companies to explore areas of potential collaboration and power future economic growth between both countries. 56 Irish companies participated in the trade mission to Scotland, highlighting the strong business prospects for Scottish-Irish collaboration, as well as raising awareness of the scope and scale of the opportunities. With a focus on Ireland’s strengths across fintech, cleantech, agritech, automotive, construction and digital technology, Enterprise Ireland reinforced the synergy across the two countries especially focused on talent, ambition and innovation, as well as broader infrastructure opportunities in food and beverage manufacturing and offshore wind. The mission focused on Glasgow and Edinburgh, as well as at various other sites around the country, including a visit to the state-of-the-art timber facility of Glennon Brothers, a company supported by Enterprise Ireland, in Troon. Seminars, roundtables and networking events covered themes including environmental performance, innovation in asset and wealth management, and the changing landscape of Scottish Farming. This mission has already helped to facilitate trade deals between O2 and ScotRail, and ABP Food Group and Central Solutions, as well as IDASO opening its first UK office in Edinburgh. These are exciting developments despite the current uncertain economic climate, and Enterprise Ireland looks forward to welcoming further prosperity of Irish and Scottish trade relations. North American healthcare leaders look to Ireland to co-develop future healthcare solutions. Enterprise Ireland hosted 15 leading and world-renowned healthcare providers from the USA and Canada at the inaugural North America Healthcare Forum this week in the Aviva Stadium in Dublin, at which industry leaders met with over 100 Irish companies working across the healthcare solutions sector. The forum further positioned Ireland as a world-class source of innovative healthcare solutions. At the forum, Kite Medical, Meditec Medical and RelateCare – three healthcare companies supported by Enterprise Ireland, the national export agency – announced major deals with Northwell Health (New York) and Lahey Hospital Medical Center (Massachusetts), with a cumulative value of over $580,000. North American executives representing influential healthcare groups including Cleveland Clinic, Northwell Health, Adventist Health System Florida, Partners Healthcare and Lahey Hospital & Medical Centre, shared their insights on the key issues and critical success factors in the region. Irish healthcare companies used one-to-one access to clinicians and key decision makers in major health networks to gather valuable insights on the products and services that will be required in the North American market in the future. Enterprise Ireland has over 200 exporting client companies within its life sciences cluster, with combined exports of over €1.7 billion. Keynote speaker at the event Michael Dowling, President and CEO of Northwell Health, described the strategic partnership with Enterprise Ireland that supports Irish healthcare companies to develop and commercialise new medical technologies, secure joint ventures, and provide platforms that integrate with US healthcare companies. Northwell Health is one of the leading healthcare providers on the east coast of the US, comprising 21 hospitals, 61,000 employees and nearly 14,000 affiliated physicians, providing healthcare to over 4 million people. There is increasingly compelling evidence for the financial and economic benefits which Building Information Modelling (BIM) can deliver. According to the Royal Institution of Chartered Surveyors, the use of BIM on UK Government-funded projects has been reported to deliver savings in the region of £3 (€3.4) billion. Such benefits resulted in the British Government introducing a new policy requiring all construction firms bidding for central Government contracts to have Level 2 BIM status. Such benefits are also in line with the findings of a 2016 report from the Boston Consulting Group, which found that full-scale digitalisation of construction projects could lead to costs savings of 13-21% in the design, engineering and construction phase, and 10-17% in the operations phase. The report, The Transformative Power of BIM, put these savings in context, noting that the construction and engineering sector is a cornerstone of the global economy, with annual revenues of nearly $10 (€8.6) trillion, or about 6% of worldwide GDP. The savings to be realised from digitalisation could therefore amount to between $0.7 (€0.6) trillion and $1.2 (€1) trillion in the design, engineering and construction phases, and between $0.3 (€0.26) trillion and $0.5 (€0.4) trillion in the operations phase. It is little wonder then that Ireland’s National BIM Council (NBC) has set ambitious targets for savings and efficiency gains to be realised through the wide-scale introduction of BIM in the country. These include a reduction in wasteful practices, bringing costs down by at least 20%, a 20% increase in construction exports as a result of enhanced productivity and knowledge leadership which will support the growth of digital construction across overseas markets, and a reduction in project delivery time by 20%. These financial and other benefits are made possible by the many clear advantages offered by BIM over traditional construction methods. These start with the much greater degree of coordination supported by the technology. In the pre-BIM era, getting full overview of a project was nigh on impossible, with hundreds, if not thousands, of documents involved. BIM technology brings all of these together in a single view, enabling streamlined communications between the project team members and far more efficient delivery. The benefits also include the ability to visualise sites with much greater accuracy. The combination of readily available and low-cost satellite imagery with technologies such as laser scanning as digital elevation offer designers a true 3D model of the terrain they are working with. Possibly of greatest importance is the automated clash detection features of BIM software. Inappropriately placed electrical conduits or ventilation ducts are detected before they are put in position. This can greatly reduce costs and schedules in even the best-designed and managed projects. Furthermore, BIM also allows for much better fits between elements that are manufactured off-site. Project sequencing is also made far easier to plan. BIM software allows for project animations, which can be used to help coordinate the various steps and processes involved, to ensure that contractors and suppliers arrive on site as and when they are needed. The reduction of waste and duplication of effort is a further advantage. Designers and contractors work on a shared model, which contains more information than a standard individual drawing set, allowing each to share knowledge on the fly, thereby reducing rework. The shared database ensures that designs, drawings and bills of quantity are updated automatically as the project moves forward. Another benefit is the ability to use the model to visualise various aspects of the project realistically, such as building energy performance, or even sunlight during different times of the day and year. And that’s just the beginning, according to the NBC’s Roadmap to Digital Transition Report, which envisages planning decisions being made in days not months as a result of the use of open 3D format models validated by machines for compliance and shared with stakeholders to allow them to virtually experience proposals. The advantages extend far beyond the construction projects, with society benefiting as well. The NBC report notes that clients from both public and private sectors from Ireland and overseas and across all sectors are using information contained within the digital models of their built assets, not only to improve the performance of their buildings or infrastructure but also to improve the performance of their organisations. On roads and railways, vehicles and passengers are experiencing fewer delays through the more precise programming of works and the incorporation of smart technologies into design models. Student performance is being improved through better teaching environments in schools, where the best designs are captured, transferred and repeated. In the healthcare sector, better patient outcomes can be achieved by integrating sensor data into buildings. Manufacturers are reducing operational downtime, retailers are adapting floorplans and layouts to maximise turnover per square metre, and office designs are becoming more advanced in order to help users achieve optimal performance levels. With benefits like these the case for the wide-scale introduction of BIM is convincing – increased profitability and efficiency for the industry, lower cost and faster project schedules for clients, and a better built environment for society.